Simple and beautiful architectural style, providing a sleek and attractive look for your property. Moreover our fence provides durability, low maintenance and easy installation. Gates are available in both Mid Trellis and Privacy Style. 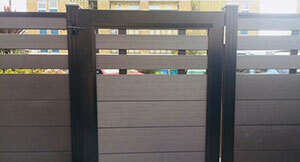 All our gates are made to the highest quality and provide reliable and durable access. 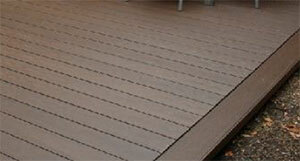 Suprotect decking is a new product offering a WPC core with a secondary hard wearing and aesthetically pleasing outer surface, which is bonded to the core. 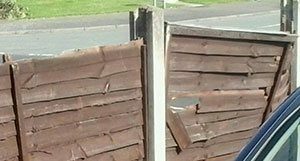 The wood composite panels have been designed to fit into your existing concrete posts via a wood composite adaptor for simple installation. 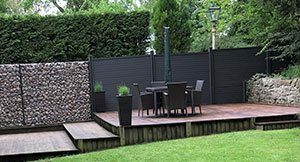 Once installed the new wood composite panels provide the same durability and low maintenance as our new fencing systems. We can offer bespoke solutions utilising the WPC technology used across our range. 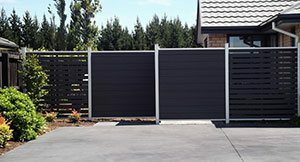 This can include tailored sized panels or panels built into both swing and electric sliding gate solutions. We also offer Gabion fencing that can stand alone or be combined with our WPC fencing systems. Contact us for advice and a detailed quote tailored to your requirements.